The braking system is one of the most important systems in your vehicle. Everyone wants peace of mind in knowing that their brakes are not going to fail and that they will be able to bring their vehicle safely to a stop. The following are some indications that your brakes require an inspection from your local Master Mechanic. It is important to be aware when things don’t seem right in your car. Having it inspected when something doesn’t feel the way it used too can prevent breakdowns and reduce costs by minimizing damage to other components. During your regular maintenance service, your brake fluid will be inspected for proper level and moisture content. The brake fluid needs to be changed every couple of years to ensure that brake performance isn’t reduced due to boiling caused by water saturated brake fluid. Brake callipers squeeze the brake pads against the brake rotor causing friction between the pad and rotor which slows the vehicle down. Servicing the brake calliper, calliper pins and sliders will not only keep your vehicle’s brake system working at it optimum but will also increase the life of brake pads and rotors. The metals used in brake systems are all subject to rust and corrosion. Regular service will keep them clean and working the way they were designed giving you long brake pad life and confidence when braking. Brake rotors live in a pretty harsh environment. The rotor is squeezed by the brake pad causing friction which slows and eventually stops the vehicle. High temperatures, lack of cooling and dragging brake pads can shorten the life of a brake rotor. Ensure that you get the most life and performance from your vehicle’s brake system and have them inspected and serviced regularly. Visit your local Master Mechanic today! We will inspect your vehicle and provide our best recommendation. 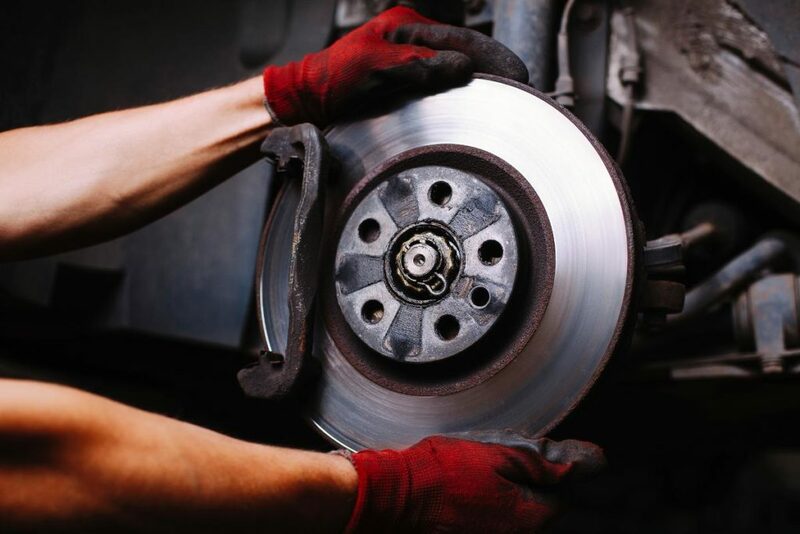 If it’s time to repair your brakes, our trusted mechanics will get you back on the road in no time.